Waiting for a connecting flight in Terminal 1. 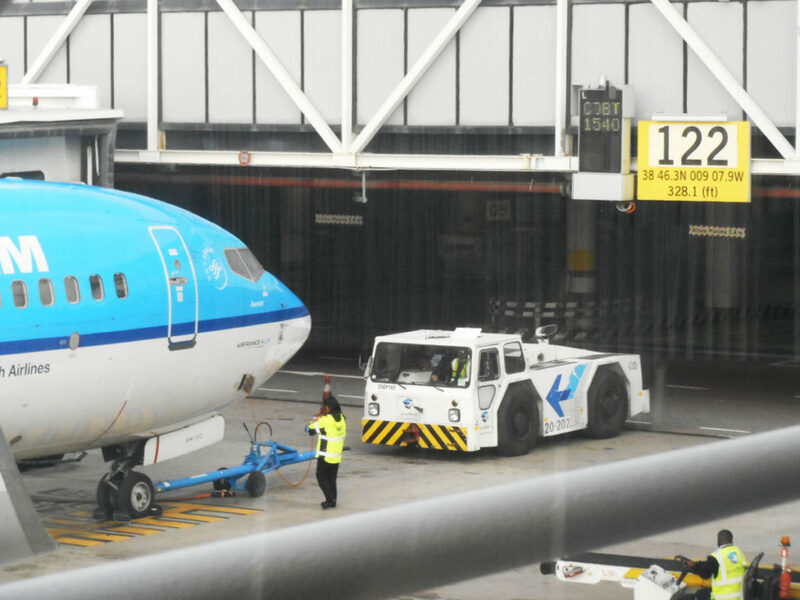 KLM 737 being prepared for the next flight. 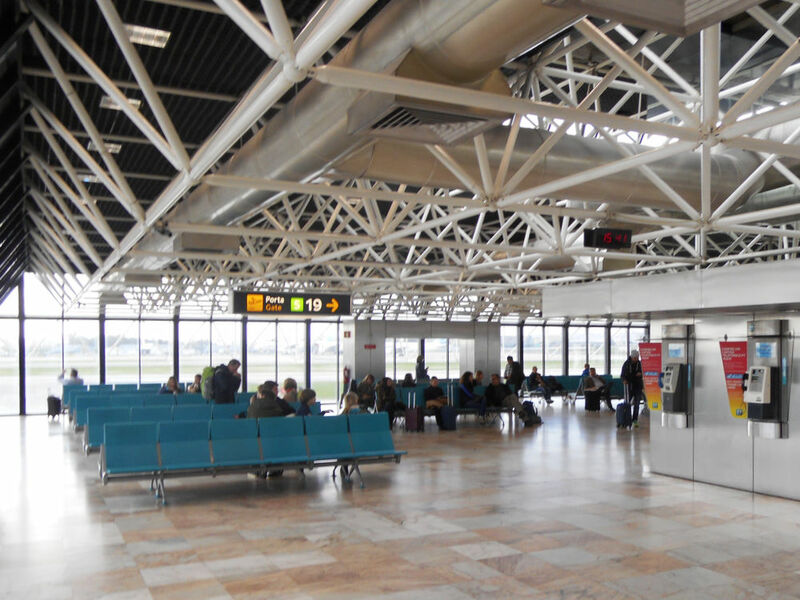 Small waiting area for Gate 19 which will take us to the remote stand. 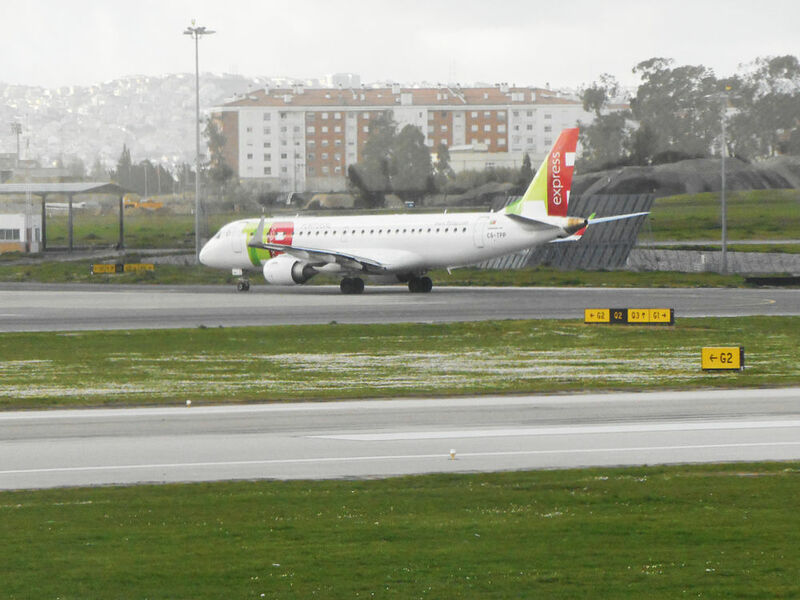 TAP Express E190 taxiing for the departure. 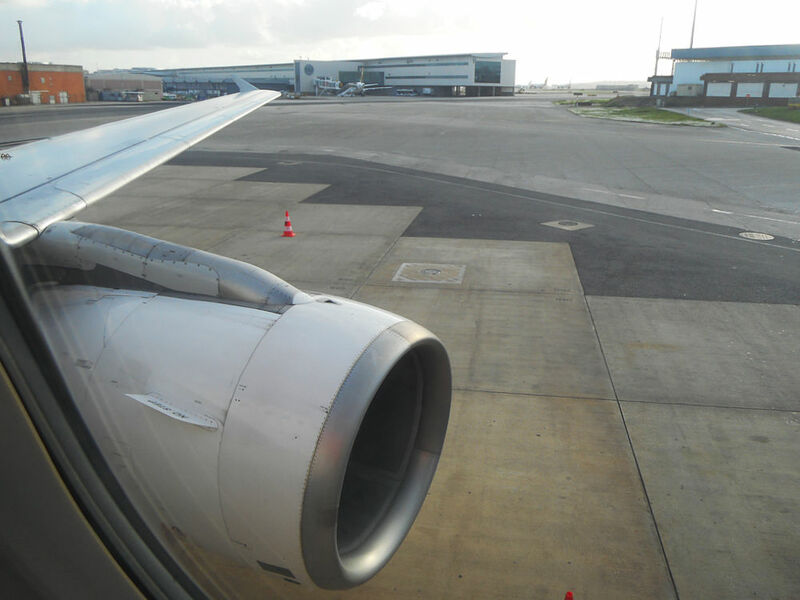 Getting ready for a push-back. 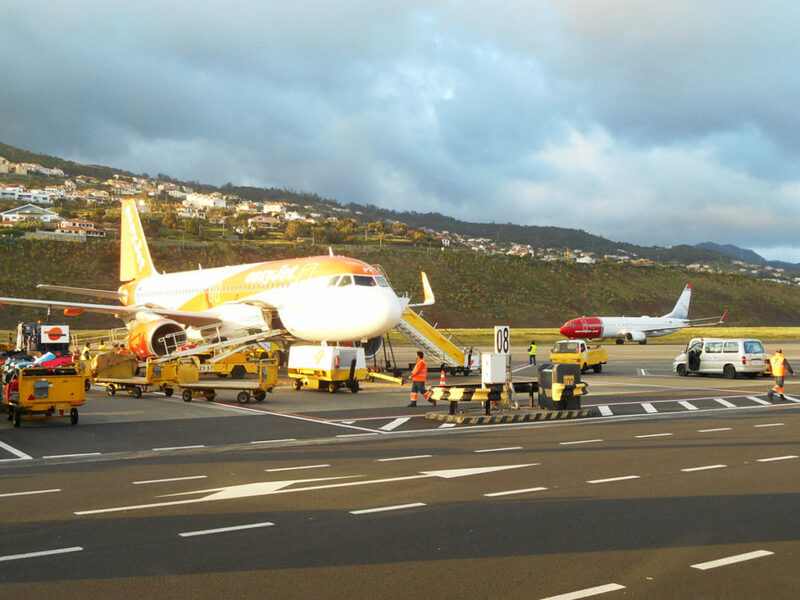 TAP Airbuses parked at gates 23 and 24. 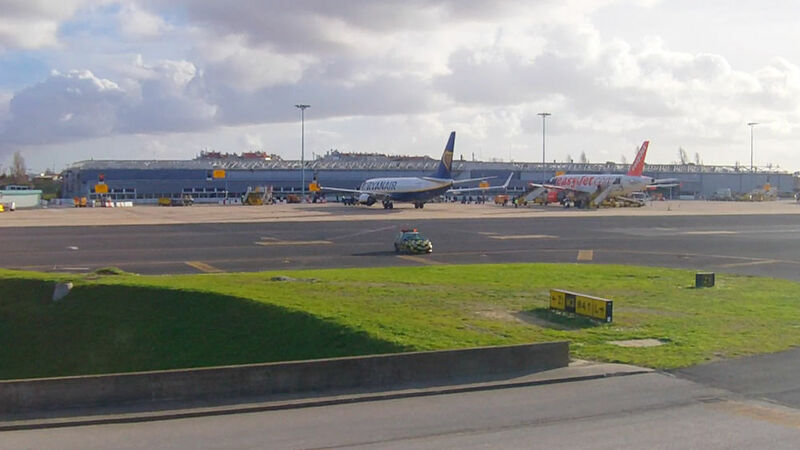 Part of EuroAtlantic Airways‘ fleet is resting on remote apron. 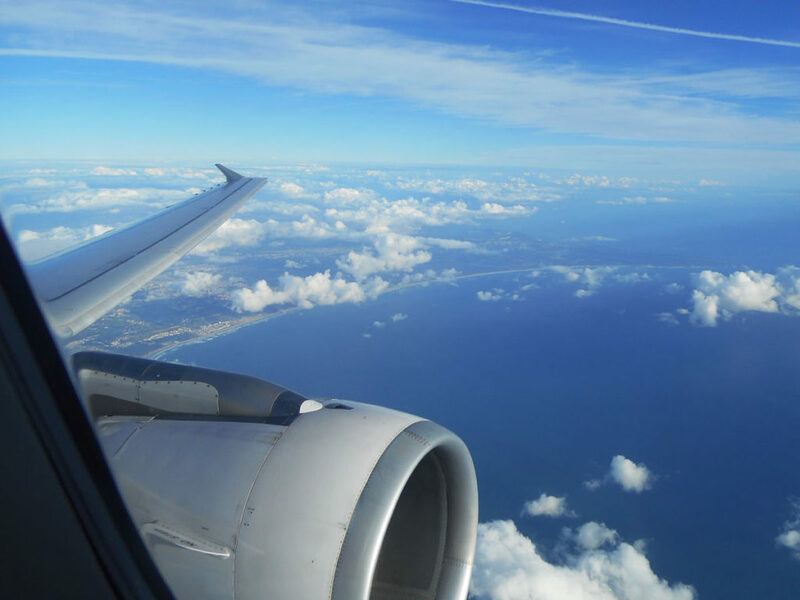 A single 777 and a 767 are part of the fleet that operates flights to Guinea-Bissau. 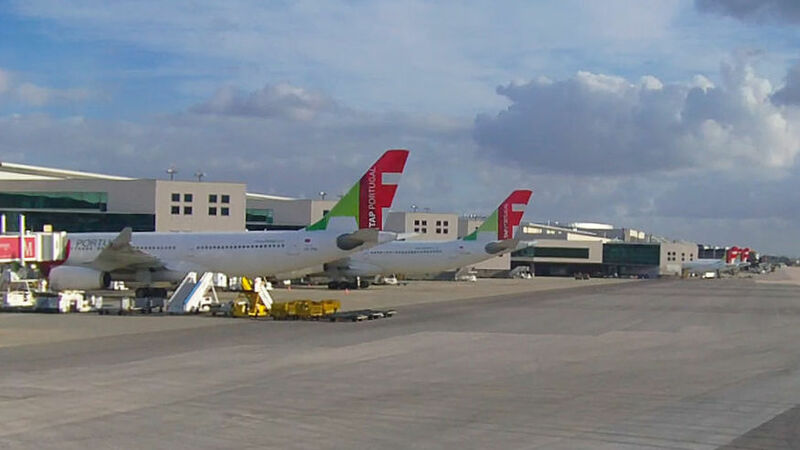 The aircraft are joined by a TAP A330. 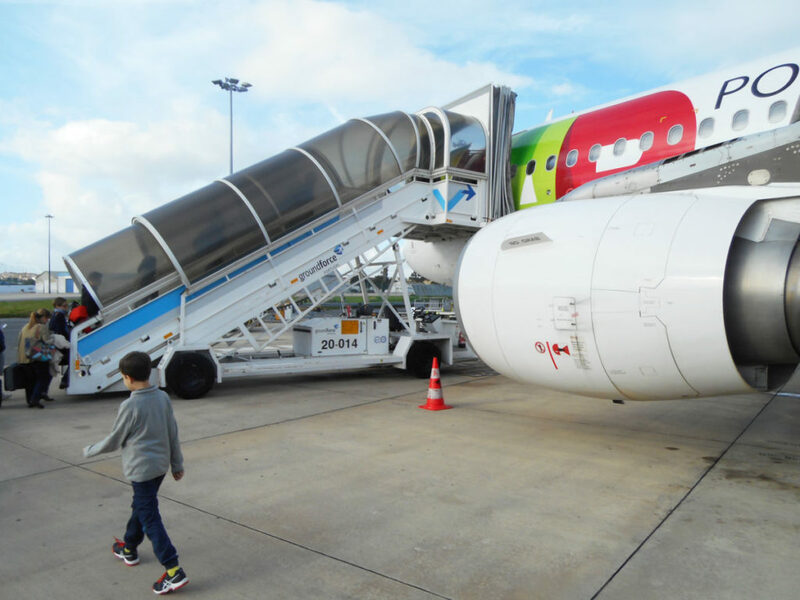 Boarding the plane on a remote stand. 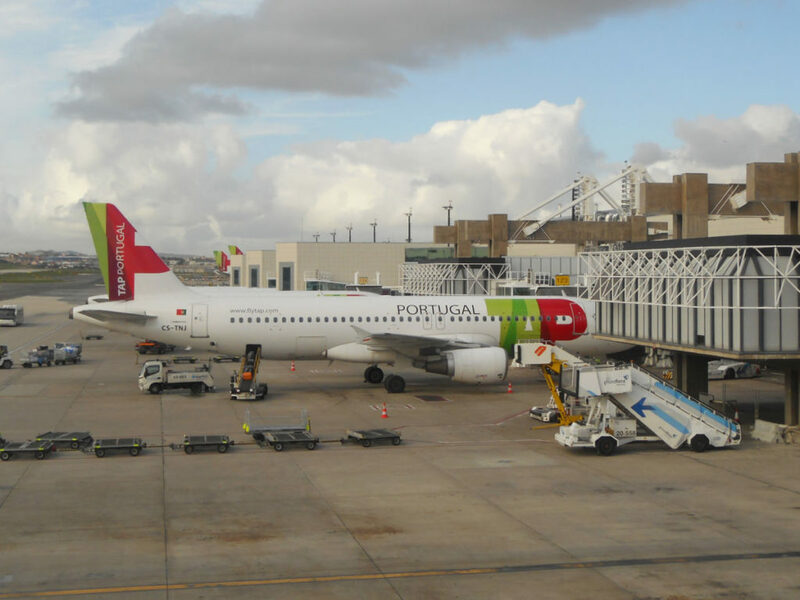 CS-TTB (MSN 0755) was built and delivered to TAP in 1997. 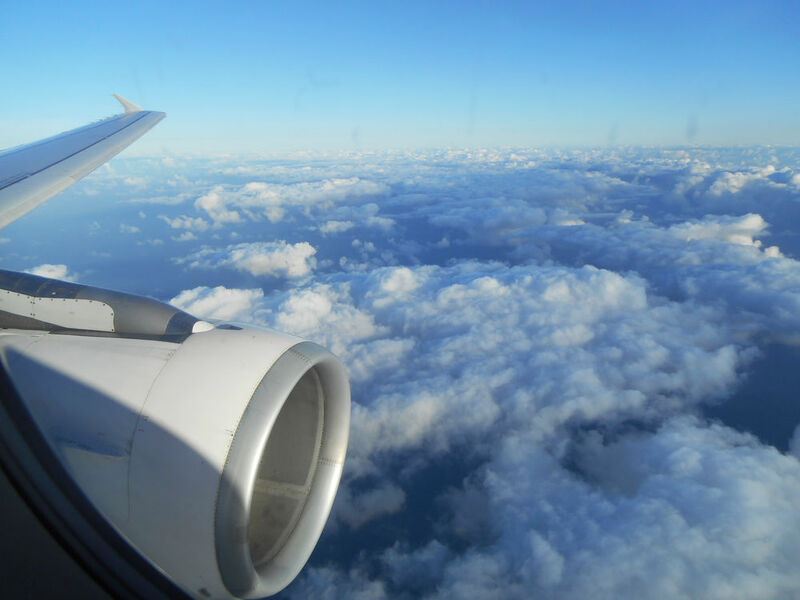 At the seat. 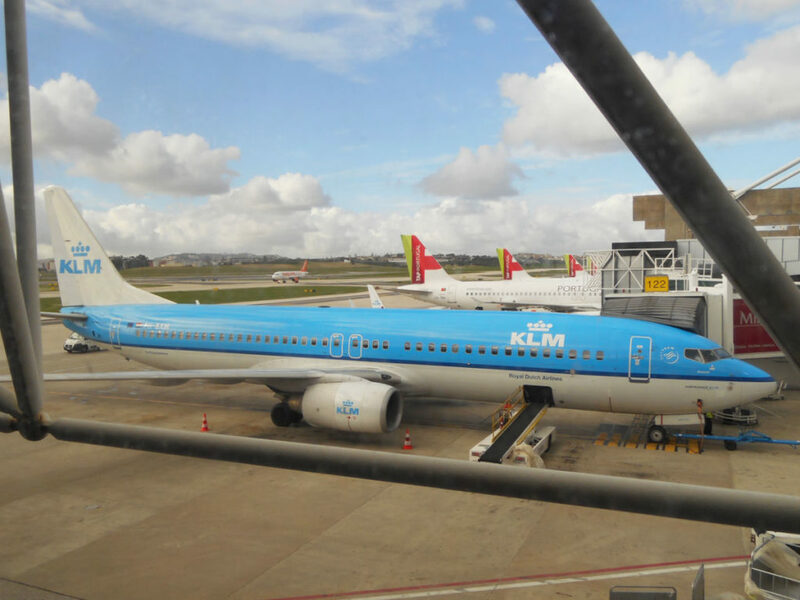 The airplane is parked behind the part of Terminal 1 dedicated to long-haul flights. 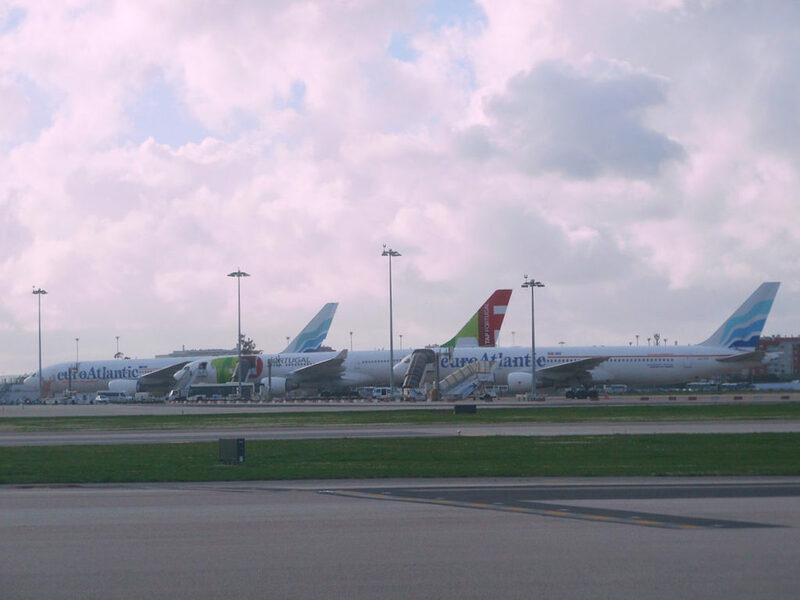 Taxiing next to TAP A330s. 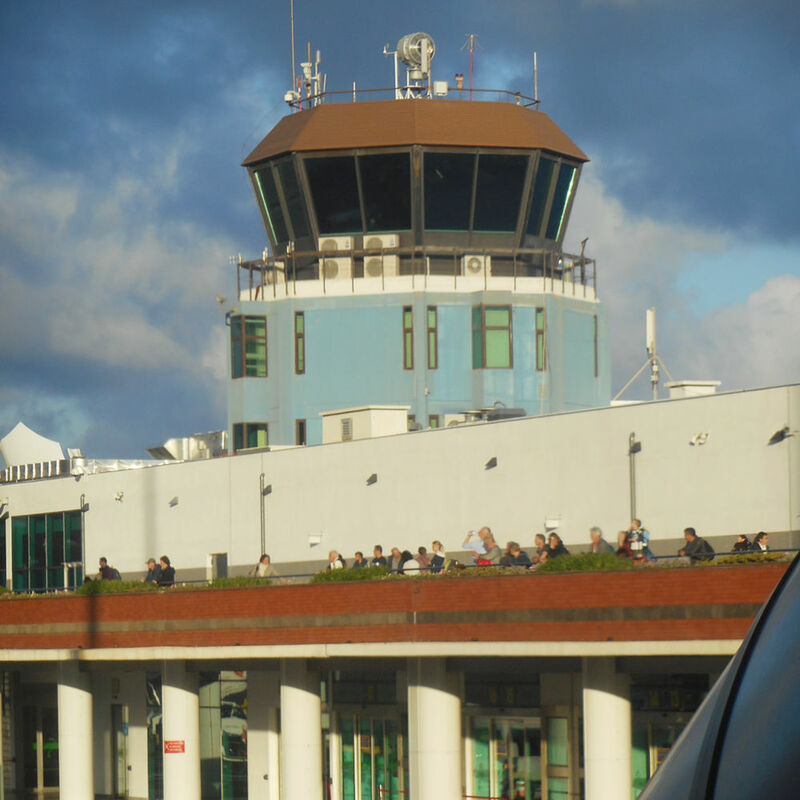 Crossing Runway 17/35 with a view of Terminal 1. 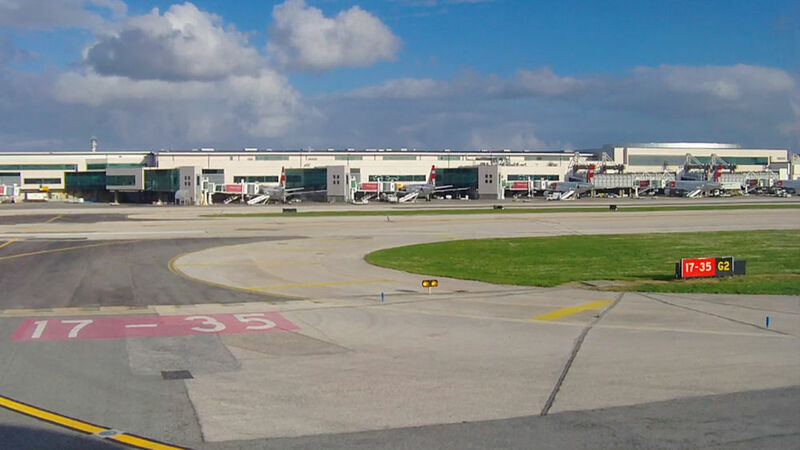 Taxiing further on M next to Terminal 2, hosting low-cost carriers. 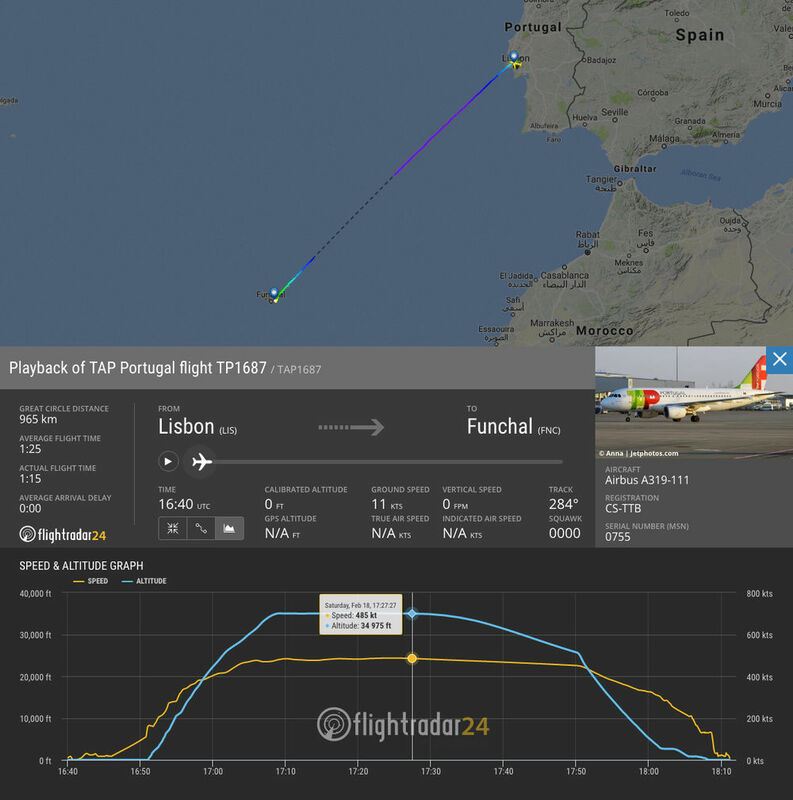 Taxi and takeoff from Lisbon Airport (LIS) Runway 03. 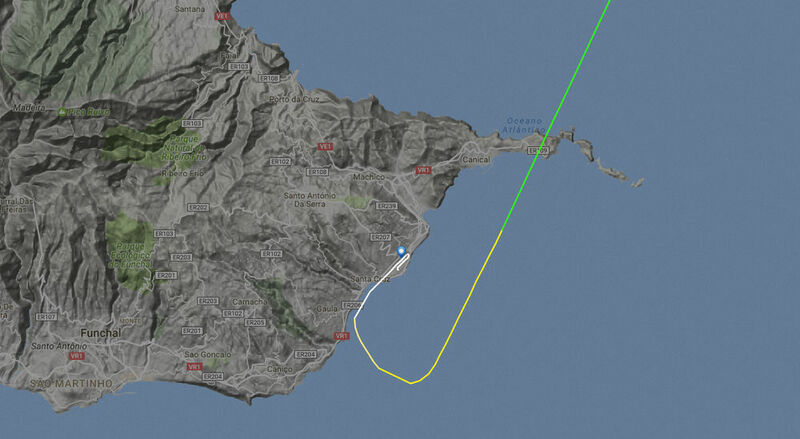 Initial climb, still over the runway. 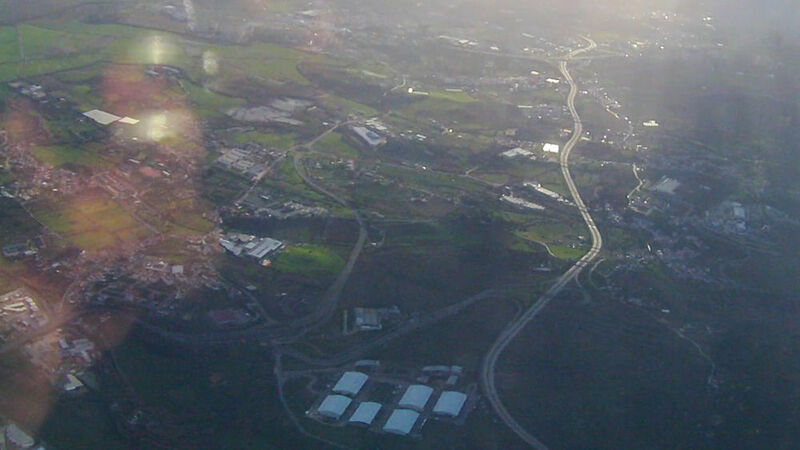 Starting a turn over the motorway A9. 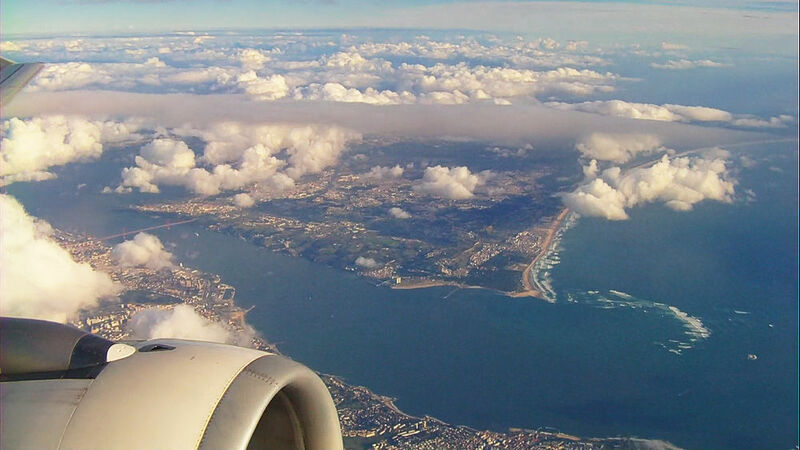 A view of the Vasco da Gama bridge, the longest bridge (12 km) within Europe. 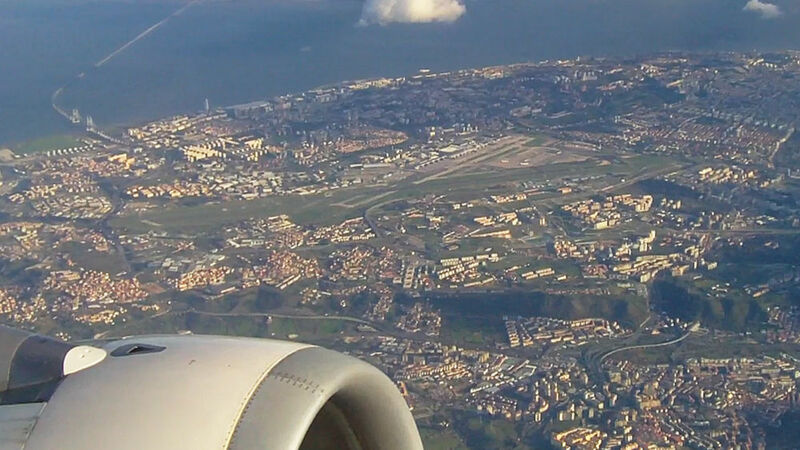 Continuing the climb with an overview of our departure point — Lisbon Airport. 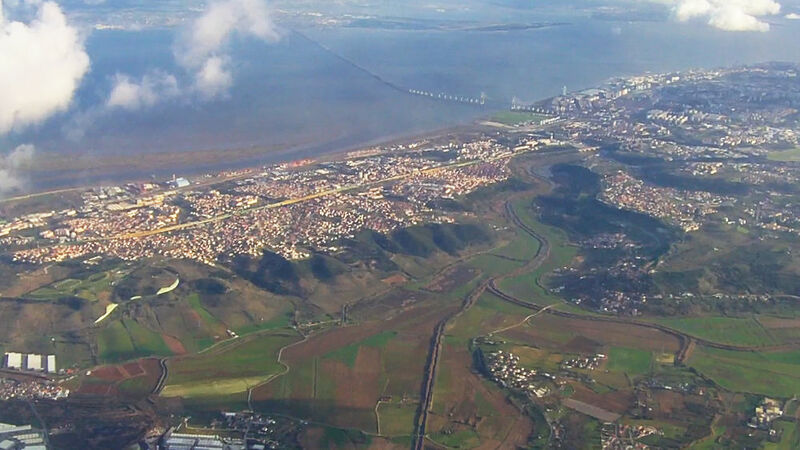 The city of Almada in the distance and the 25 de Abril Bridge connecting the city with Lisbon. 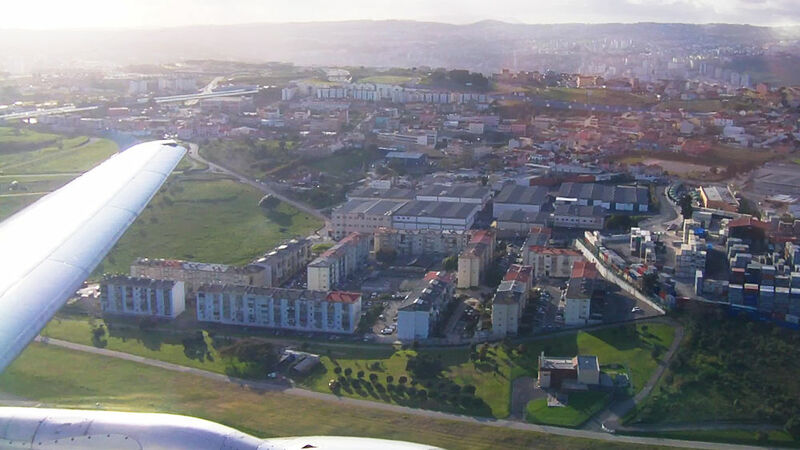 Two cities are separated with Tagus River, the longest river in the Iberian Peninsula and at this location it empties in the Atlantic Ocean. 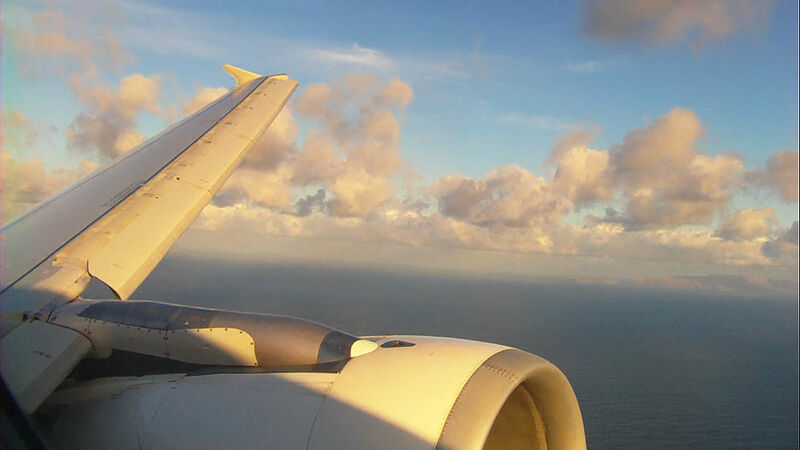 Leaving the European mainland and starting our flight over the Atlantic. 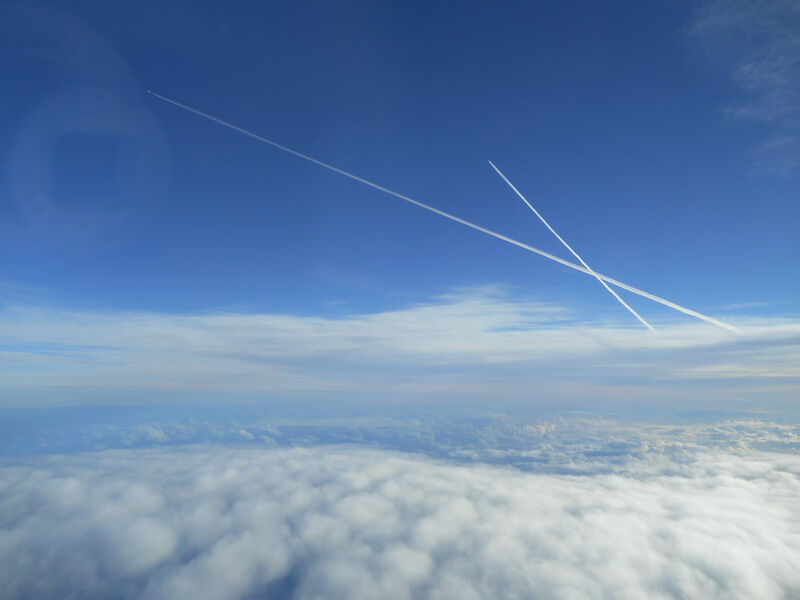 Vast airspace but nevertheless very busy. 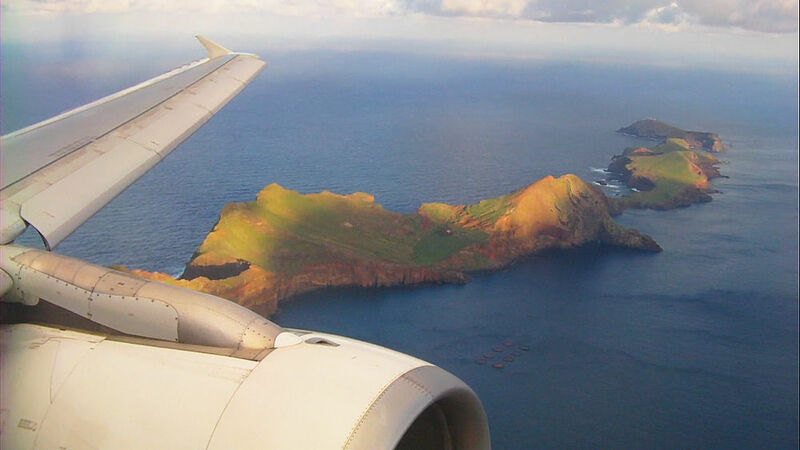 Descending and the first glimpse of the archipelago of Madeira — Porto Santo Island. 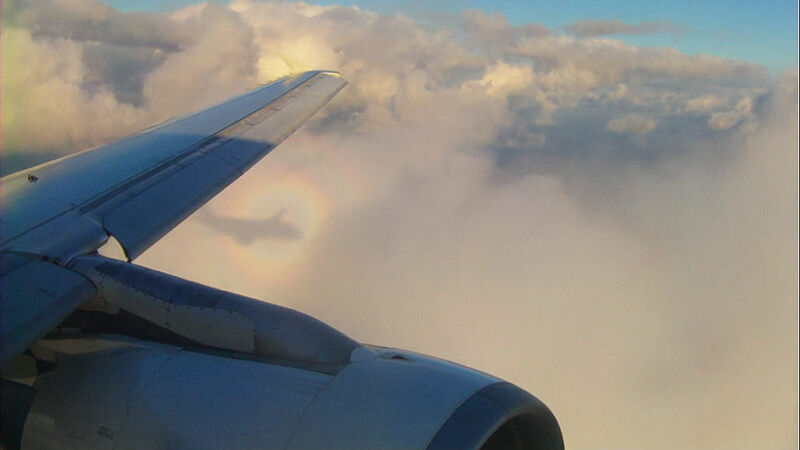 Entering the clouds with a shadow of our plane. Slats out. 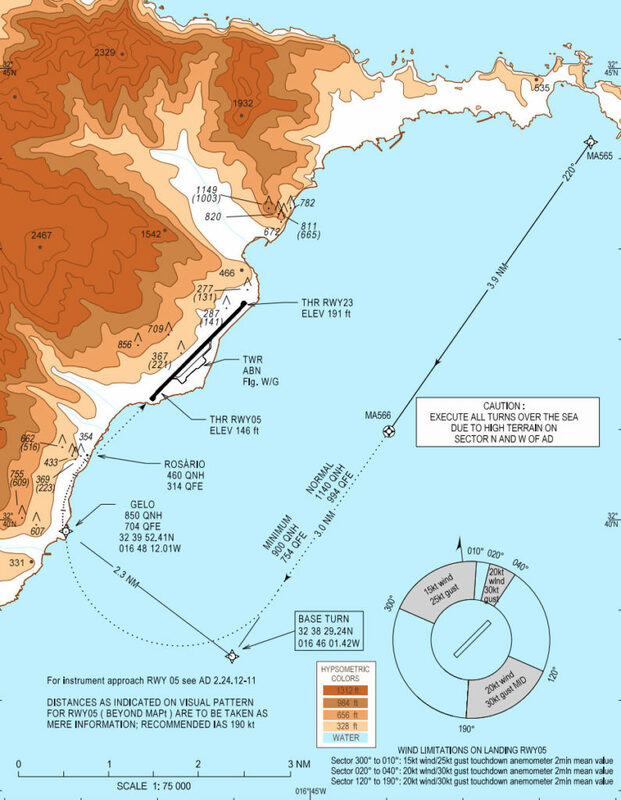 Contact with Madeira and the start of the famous visual approach on Runway 05. 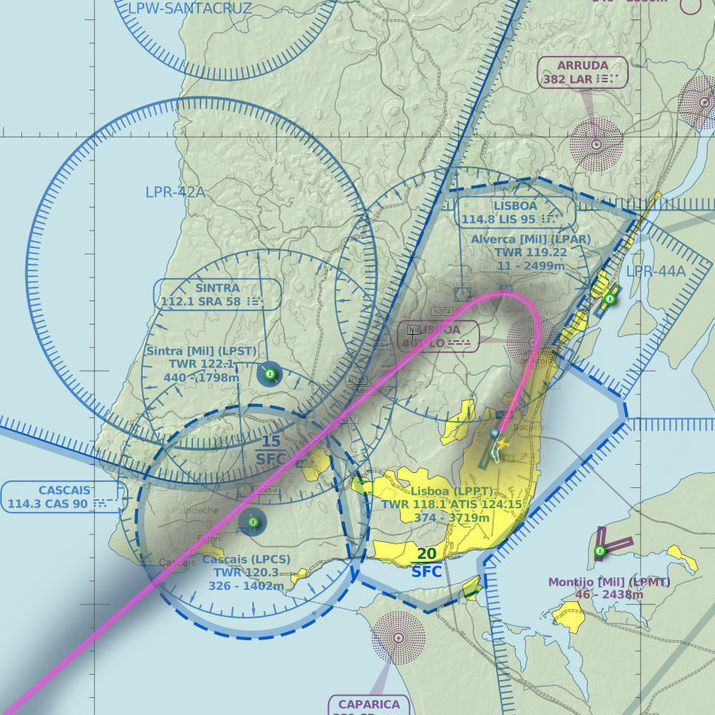 Approach has to be performed manually and the landing plate gives only basic information. 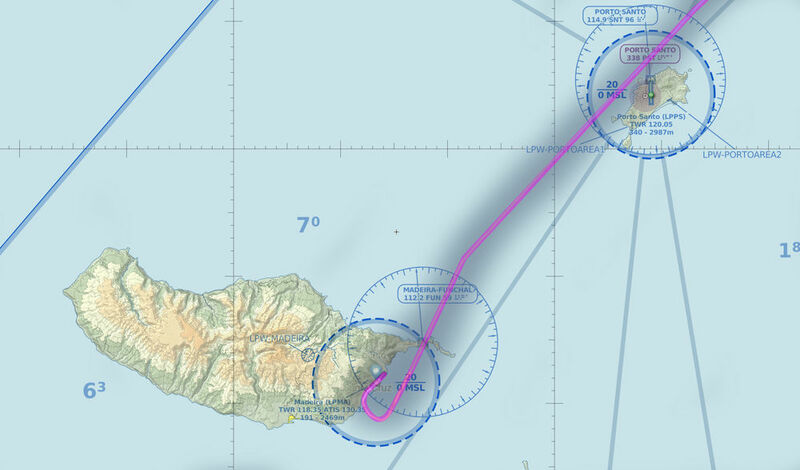 Wind gusting is the most dangerous part of this landing and pilots are always on alert. 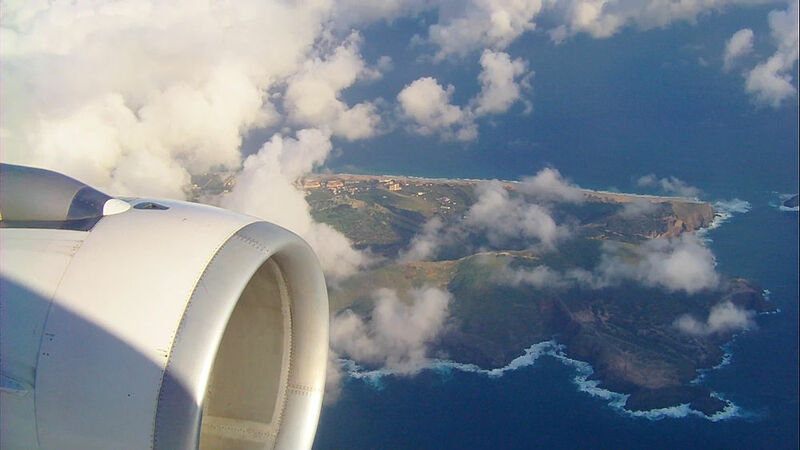 Aligning with the runway following the coastline. 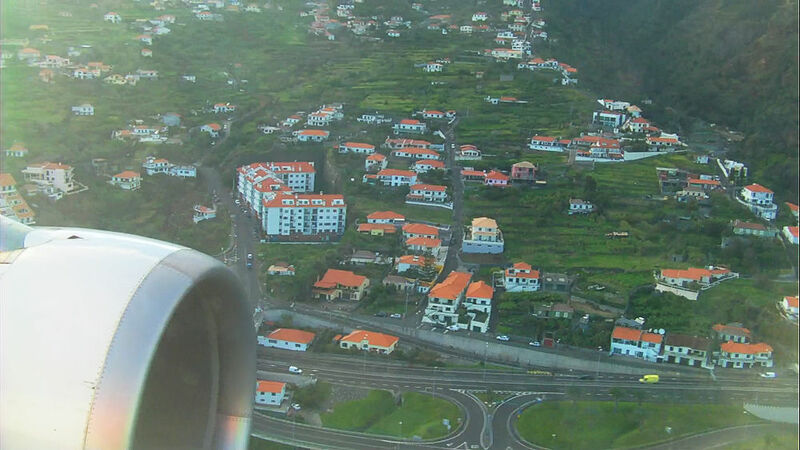 Approach and landing at Madeira Airport (FNC) on Runway 05. 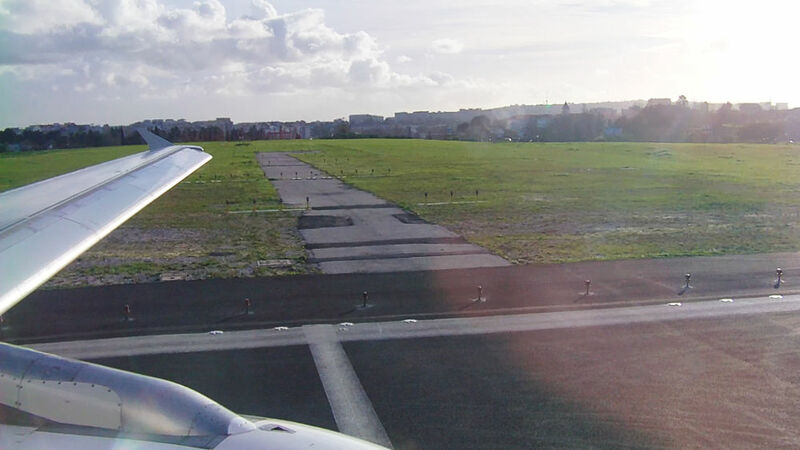 Vacating the runway and taxiing to the stand. 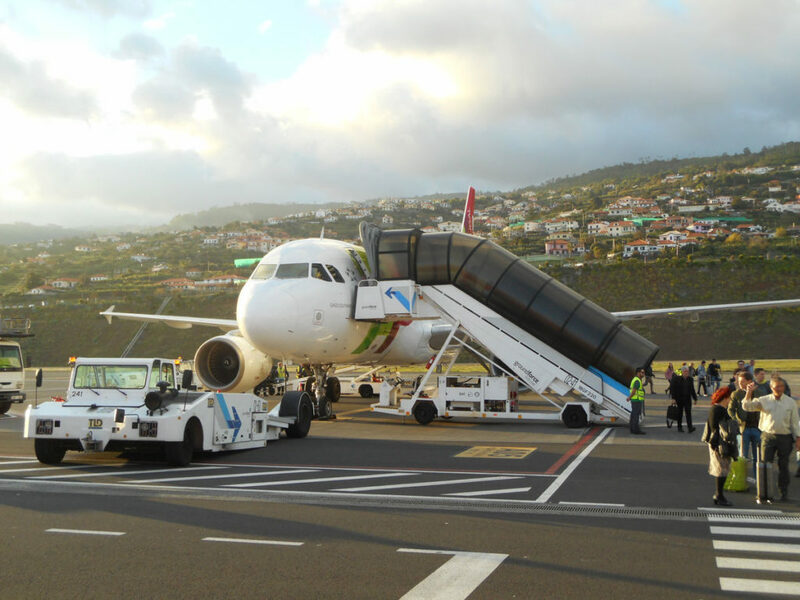 Madeira Airport has a beautiful terrace which can be used as a great spotting location! 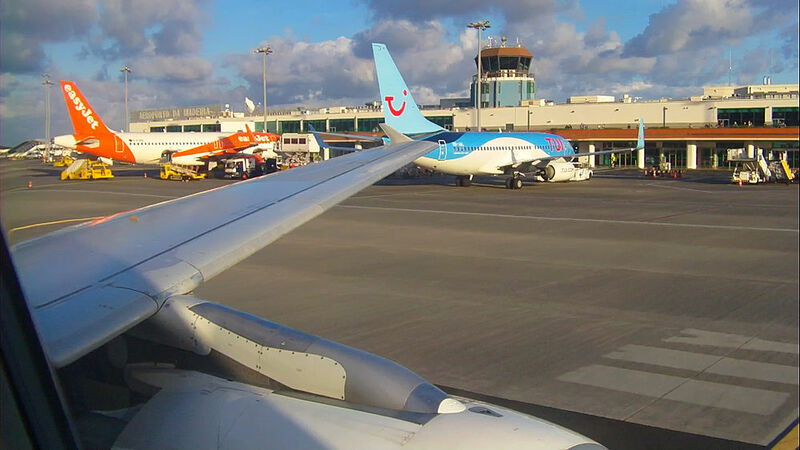 easyJet A320 almost departing and Norwegian 737 arriving. 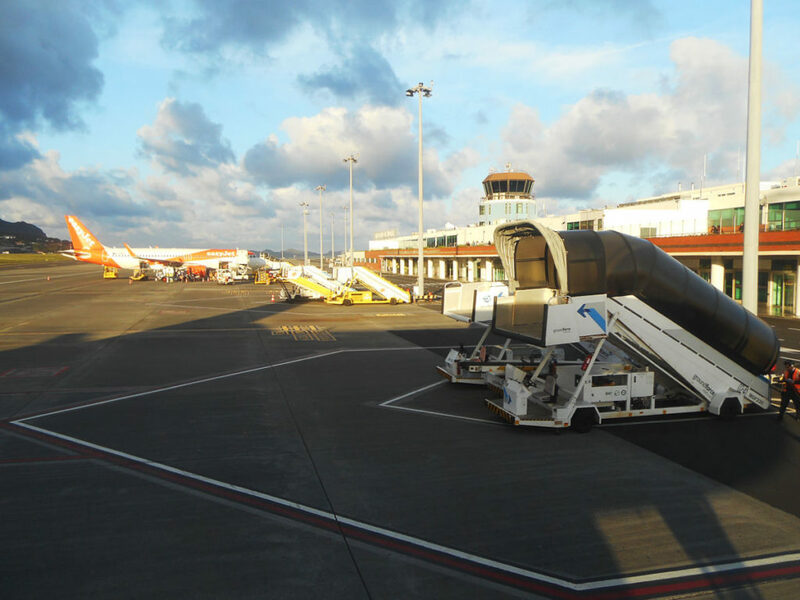 De-boarding and heading to the terminal.